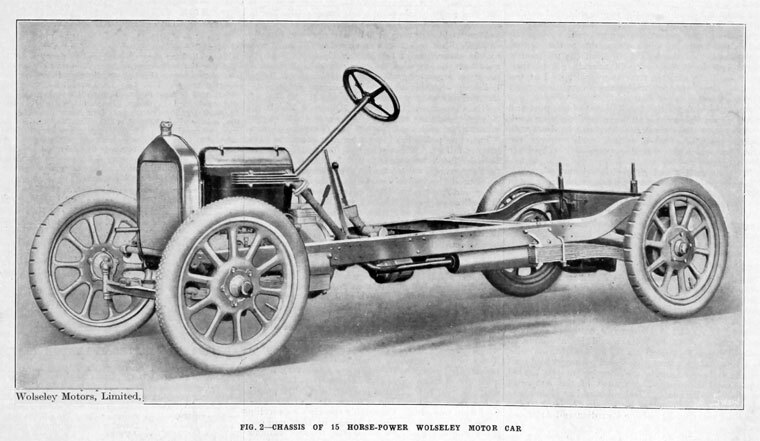 1912. chassis of the 16-20 model. 1901 February 18th. Company registered. 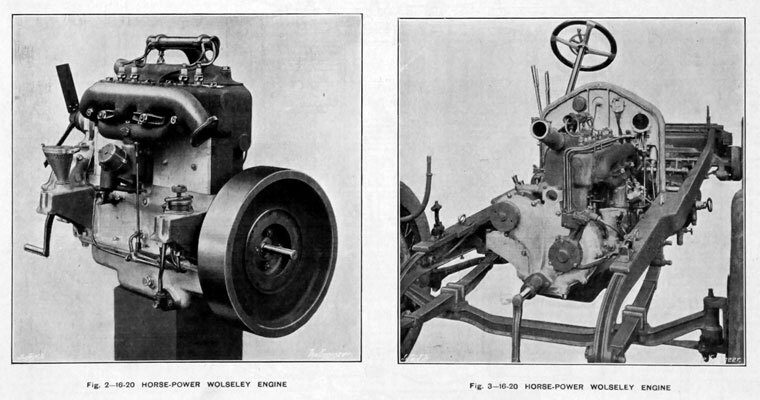 Vickers, Sons and Maxim took over the machine tool and motor car side of the Wolseley Sheep Shearing Machine Co works, and commenced trading as the Wolseley Tool and Motor Car Co. Herbert Austin was general manager. 1902 February. Detailed description of their works. 1905 Herbert Austin resigned, taking some of the senior staff with him to form Austins. 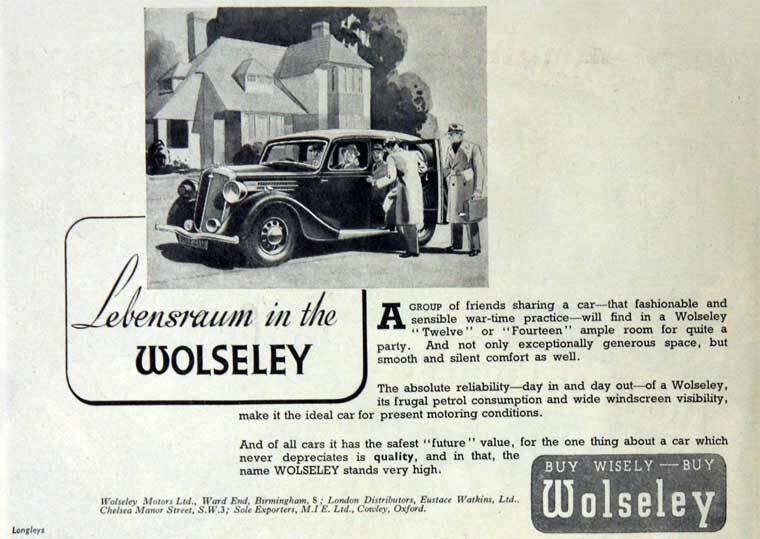 1905 Wolseley Tool and Motor Car Co purchased the Siddeley Autocar Co, with founder John Davenport Siddeley in charge. 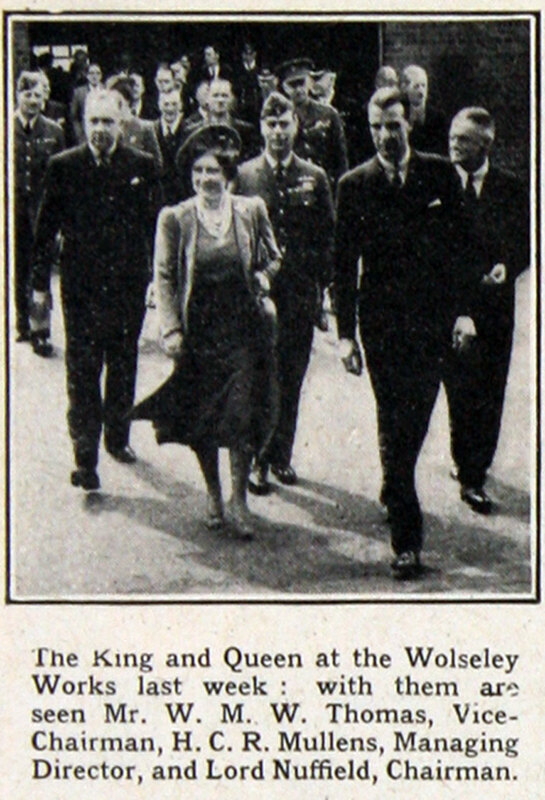 Siddeley took control of the merged concern, renaming the marque Wolseley-Siddeley. These stately models were used by Queen Alexandra and the Duke of York, the later King Edward VII. 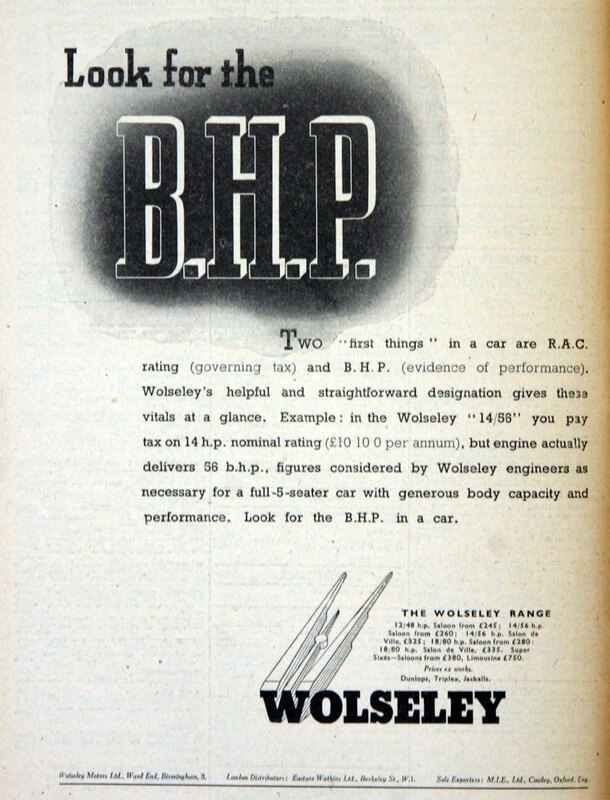 1907 Wolseley Tool and Motor Car Co started a joint venture with BTH to make petrol-electric buses. 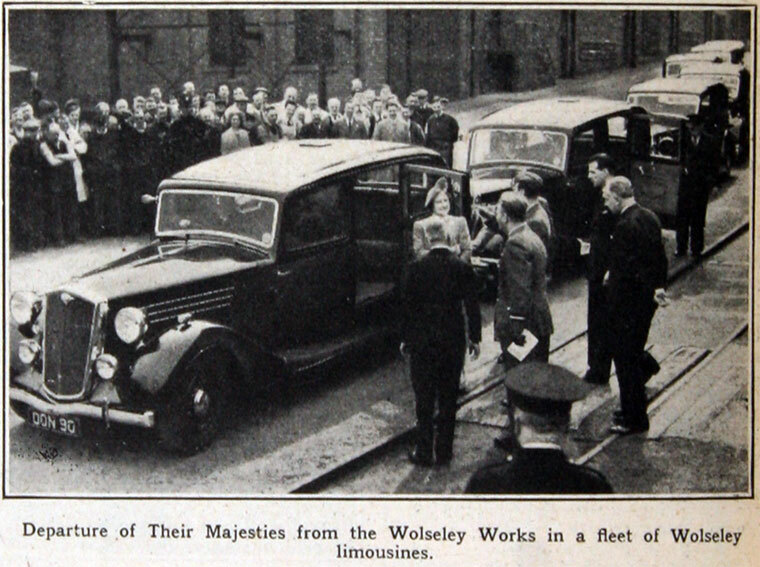 Wolseley also made chassis for the electrobuses produced by the Electric Vehicle Co of West Norwood. 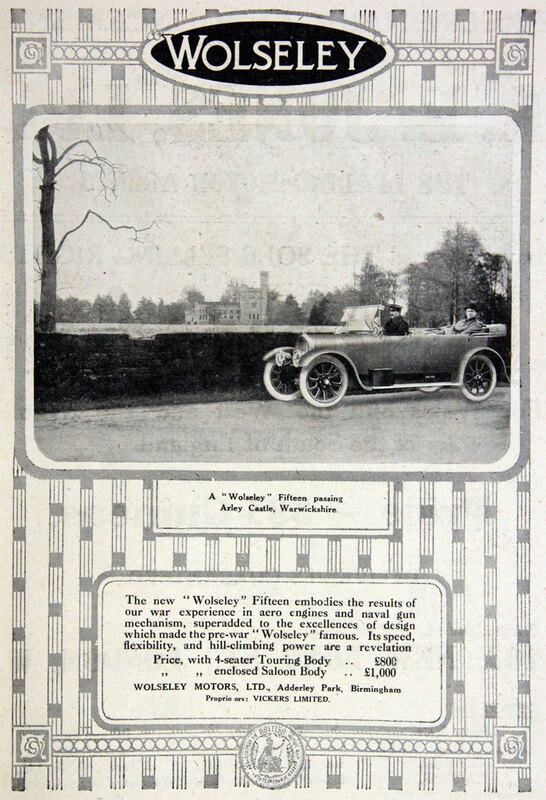 1908 Advertisement for the Siddeley Autocar produced by Wolseley Tool and Motor Car Co, referred to the engineering strengths of its parent Vickers, Sons and Maxim. 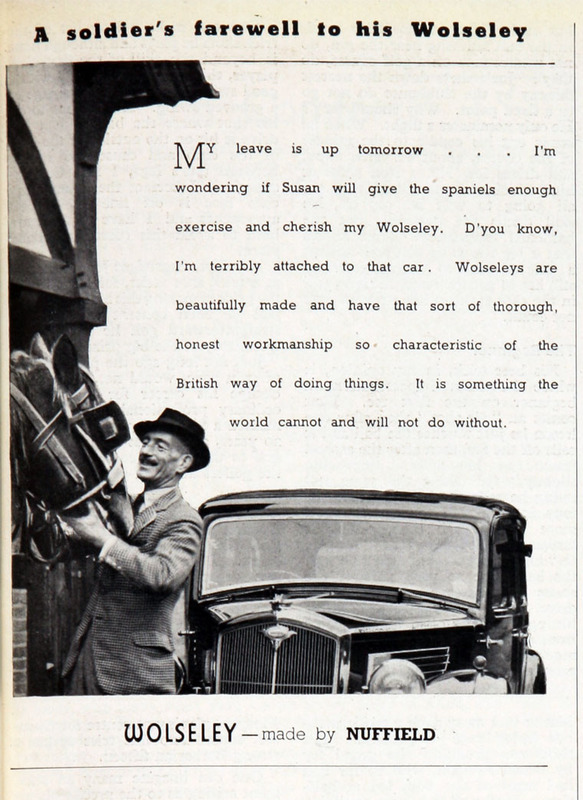 1909 John Davenport Siddeley resigned from Wolseley and took over the Deasy Motor Car Manufacturing Co, and this became known as Siddeley-Deasy. 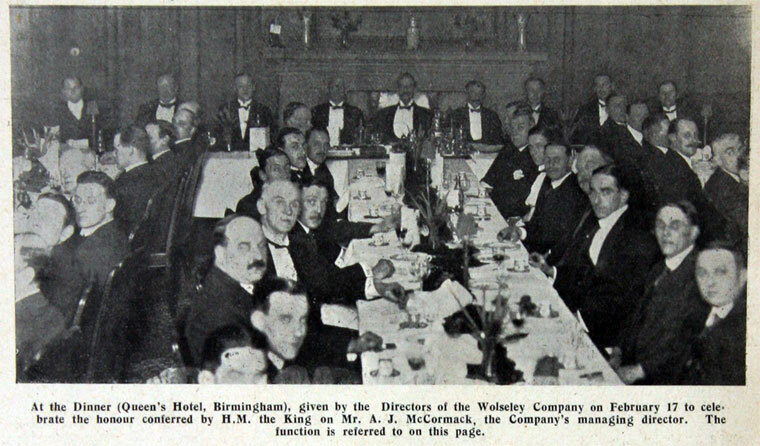 1909 Ernest Hopwood from the British Electric Traction Co became managing director. He resigned due to ill-health late in 1919. 1910 Production ended at Crayford, being concentrated at Birmingham. 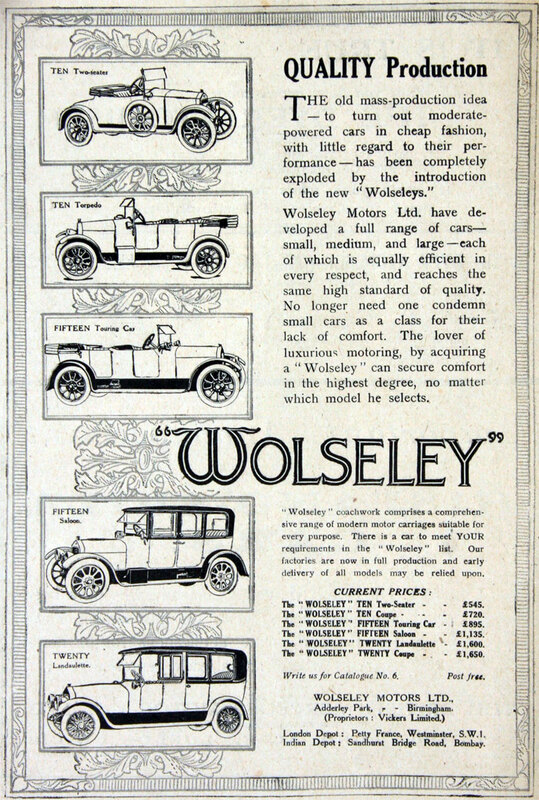 1913 Wolseley was Britain's largest car manufacturer selling 3,000 cars. 1913 Revenue over £1m and profit £163k. Buildings cover 13.5 acres in Birmingham. All shares held by Vickers. 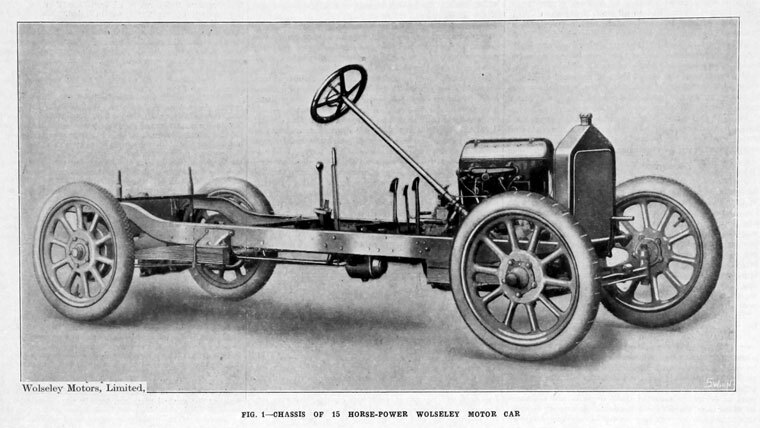 1914 The company officially became the Wolseley Motor Co.
1914 Formerly the Wolseley Tool and Motor Car Co. 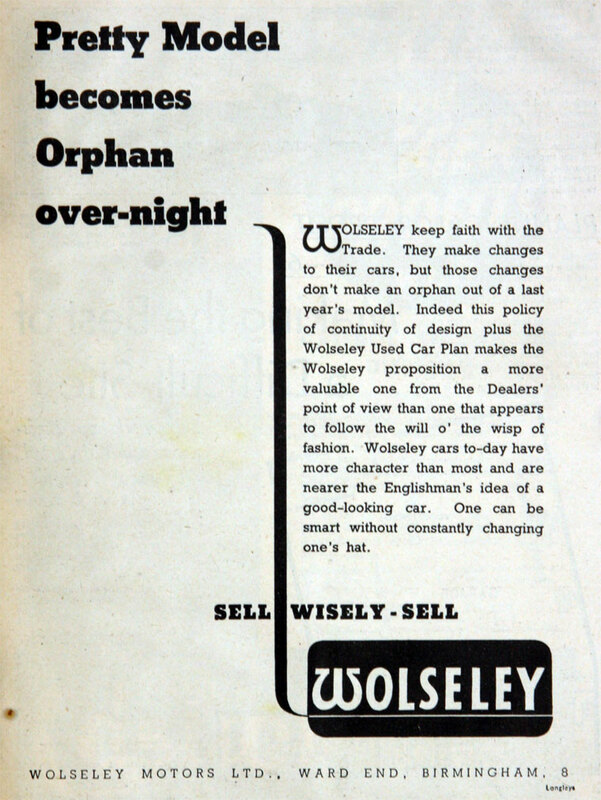 The company officially became the Wolseley Motor Co, still part of Vickers. 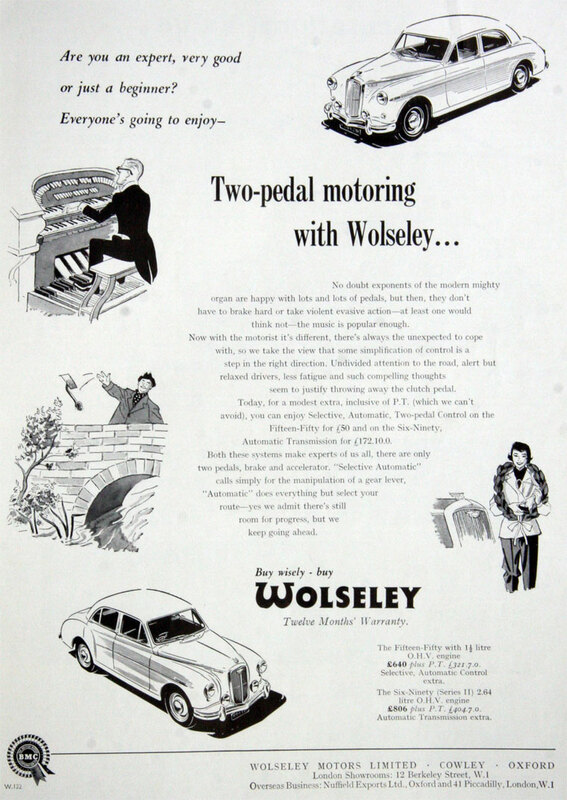 It also began operations in Montreal and Toronto, Canada as Wolseley Motors Limited. This became British and American Motors after WWI. 1914 January. Factory extensions opened giving an additional 85,000 sq. ft. The whole factory now covers 21 acres. Will manufacture 2,000 four-cylinder and 1,000 six-cylinder cars this year. In addition there will be 1,500 Stellite cars produced in Birmingham. 5,500 men are employed in the works. A. McCormack is technical director and E. Hopwood the business director. Sir Vincent Caillard is Chairman. 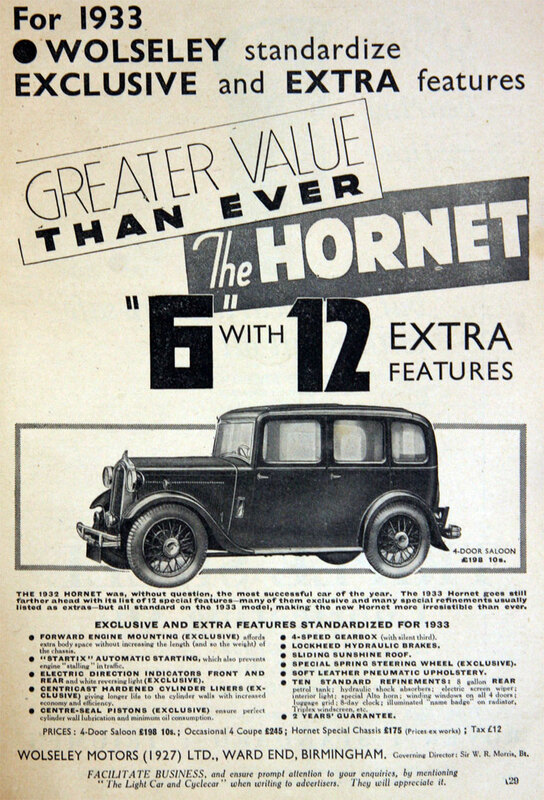 1919 Vickers, the owners of Electric and Ordnance Accessories Co, put that factory under the ownership of Wolseley Motors on September 30, 1919. 1926 Finances were strained and the company faced receivership in October. 1927 February. 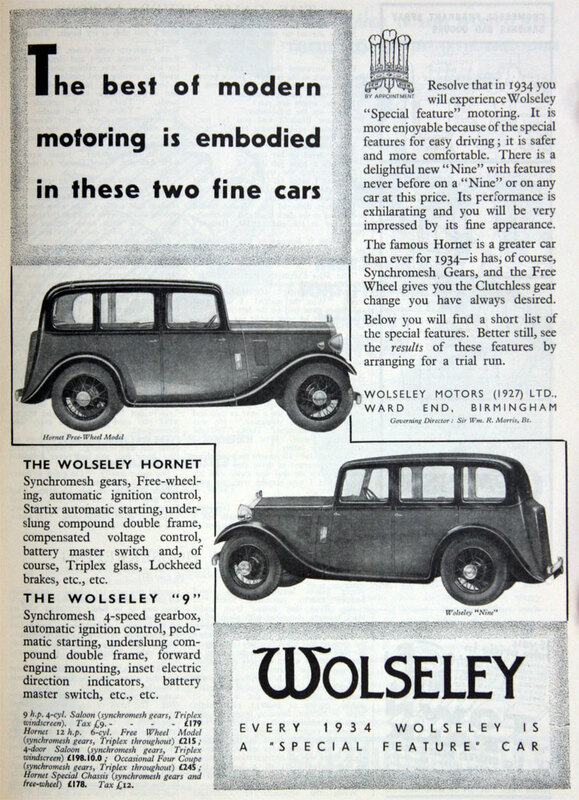 Wolseley was purchased by William Morris for £730,000. 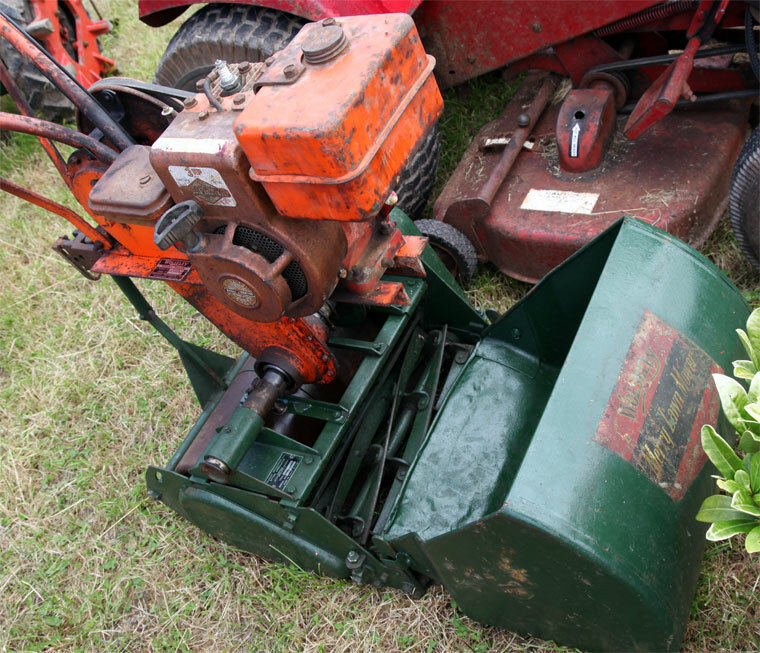 Other bidders included General Motors and the Austin Motor Company. 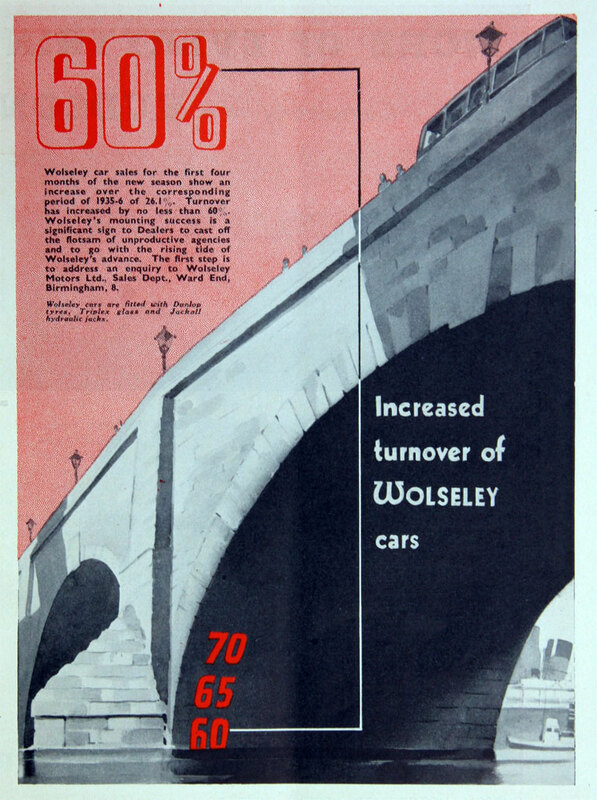 Morris renamed the company Wolseley Motors (1927) Ltd and consolidated its production at the sprawling Ward End Works in Birmingham. 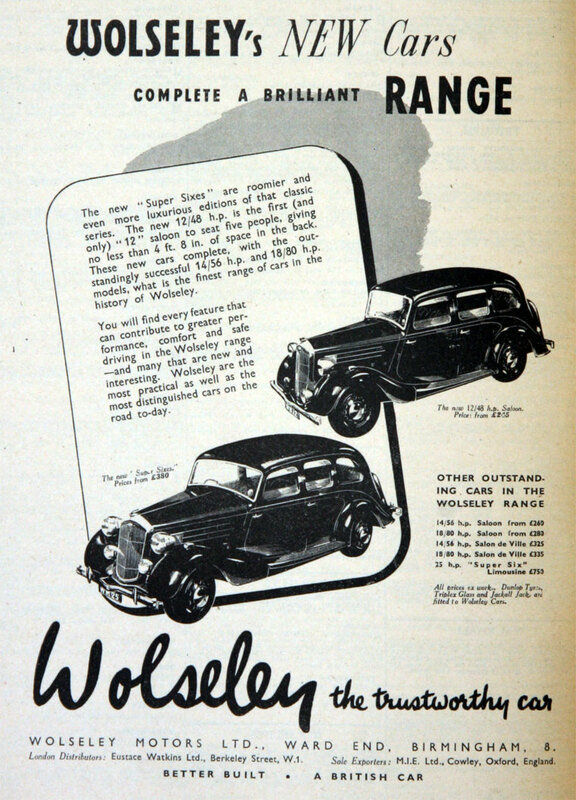 1935, Wolseley became a subsidiary of Morris' own Morris Motor Company and the Wolseley models soon became based on Morris designs. 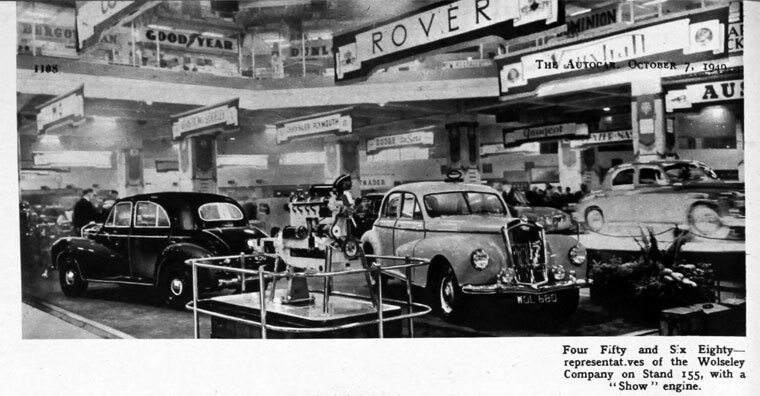 1938 It became part of the Nuffield Organisation along with Morris and Riley/Autovia. 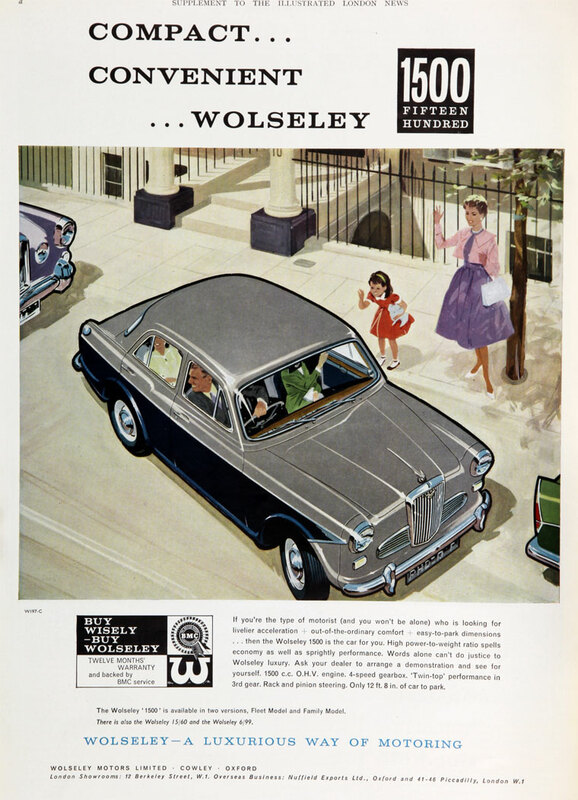 1968 After the merger of BMC and Leyland to form British Leyland Motor Corporation, the Riley marque, long overlapping with Wolseley, was retired. 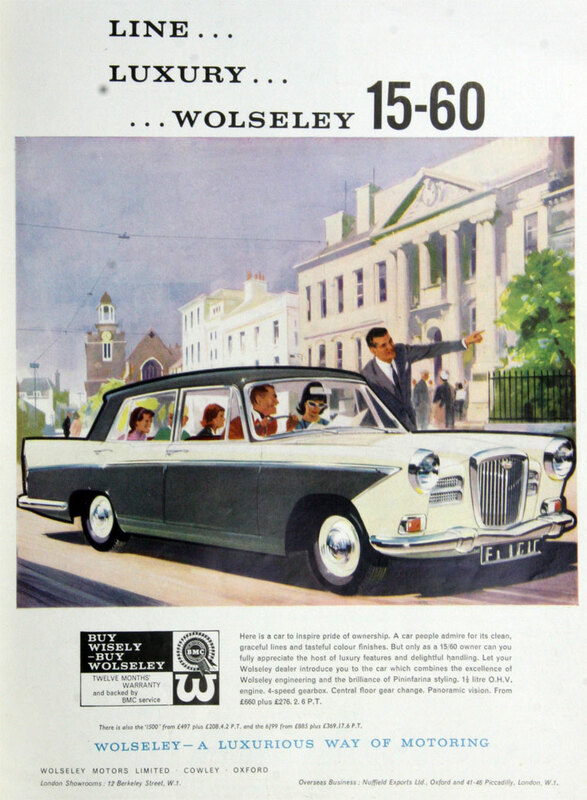 Wolseley continued in diminished form with the Wolseley Six of 1972, a variant of the six-cylinder Austin 1800, the Austin 2200. 1975 Wolseley was finally killed off just three years later in favour of the short-lived Wolseley 18-22 series saloon, which was based on the Leyland Princess (also known as the 18-22 series) and never even given a clear name, being badged just "Wolseley", and sold only for seven months until that range was renamed as the Princess. Today, the Wolseley marque is owned by Nanjing Automobile Group, bought as part of the assets of the MG Rover Group. 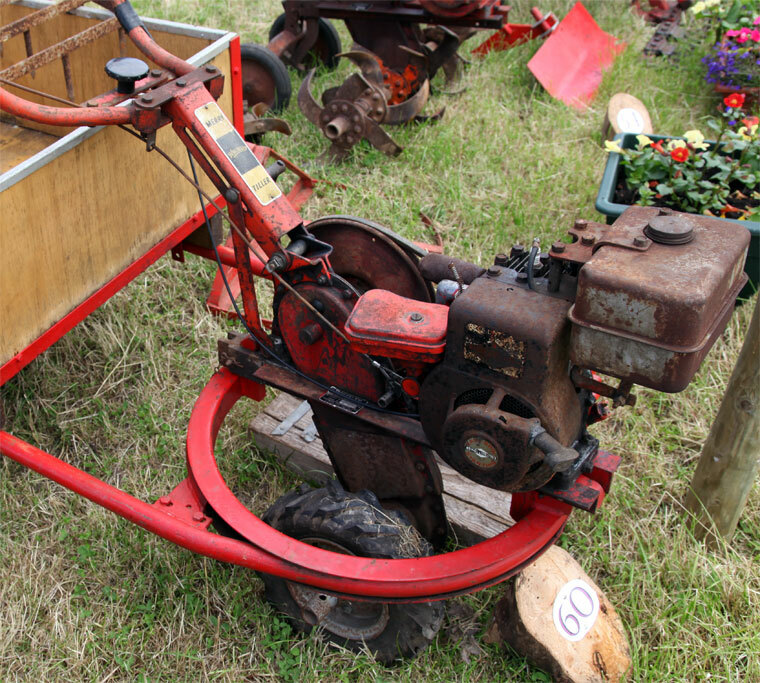 The Wolseley Sheep Shearing Machine Co continued trading, and today is part of Wolseley Group plc. This page was last edited on 1 May 2018, at 15:53.